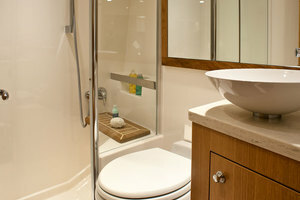 All our learning is on show here again. 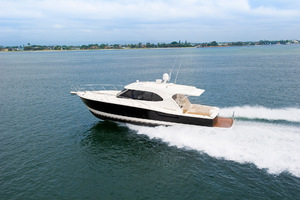 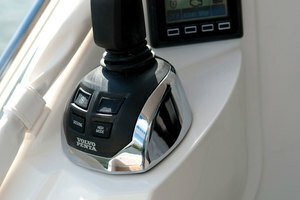 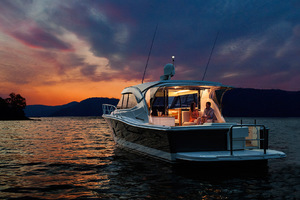 The SUV’s confident offshore poise comes, to a large degree, from Riviera’s leading-edge CAD technology and legendary build quality that combine superstrong hand layups with solid GRP bottom and structural core material on the hull flanks, main deck and hardtop, as well as precisely fitted lightweight resin transfer moldings, pre-fitted for a perfect seal when all major components are bonded together. There seem to be only upsides and upsides to the Volvo system; in efficiency, top speed, acceleration, economy, maneuvrability and quietness. 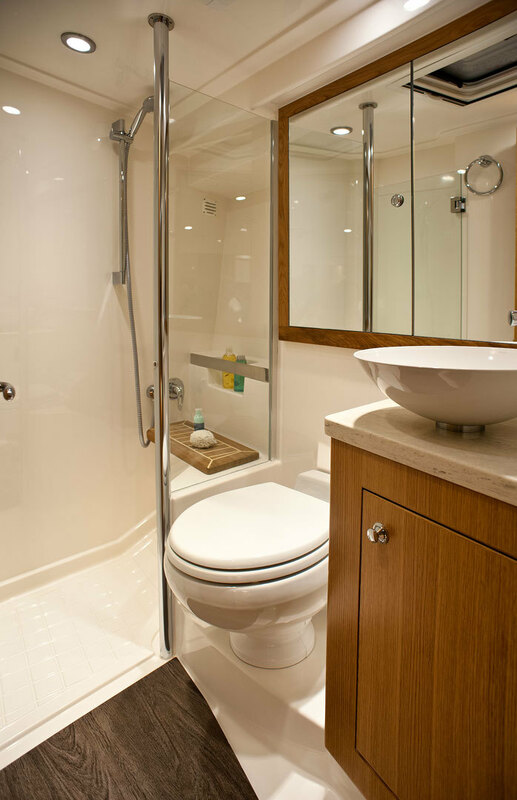 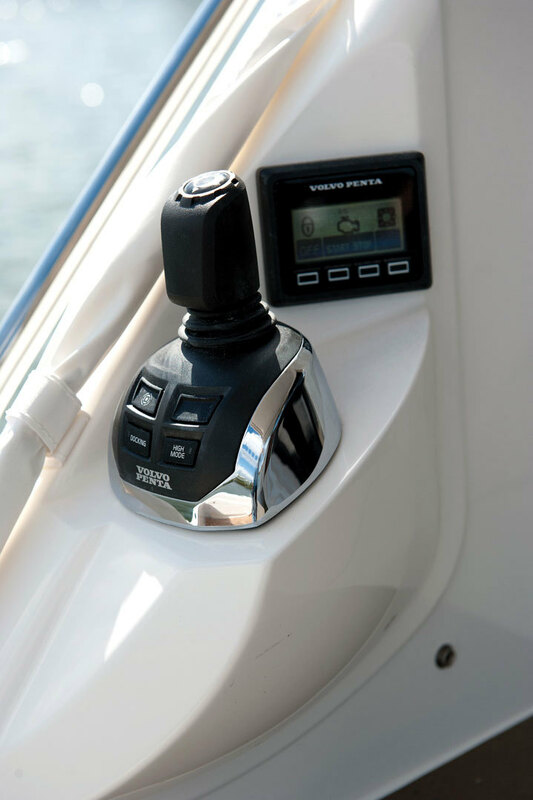 But one of the biggest advantages is that the bulk of engineering machinery can be positioned well aft, rather than amid-ships, as shaft drive engineering dictates. 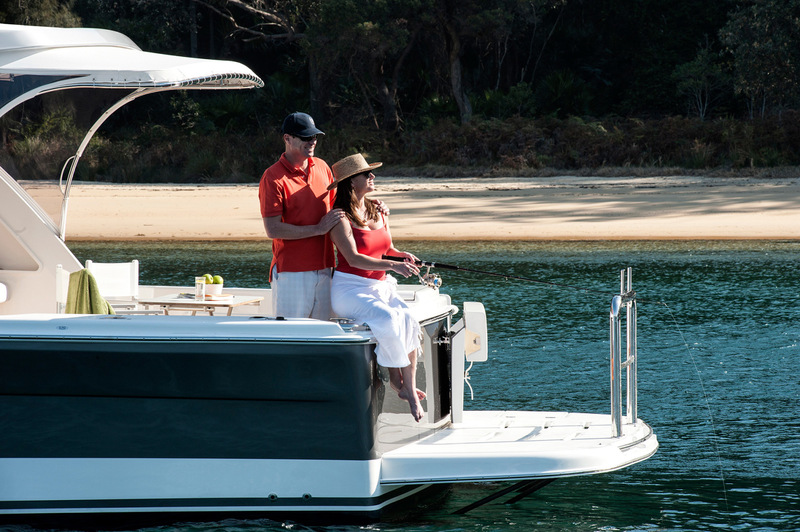 The SUV collection is a culmination of more than 32 years of boat building design, experience and extensive owner feedback from around the world. Bearing Riviera’s classic hallmark design, the new 445 SUV has been crafted with Riviera’s rich-heritage in mind. 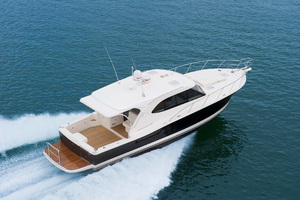 Combining the high performance, blue water cruising abilities and large open cockpit of the classic Flybridge with the fish raising abilities of the Offshore Express, and the single-level leisurely, entertaining features of the popular Sport Yacht series, has created a vessel like no other, a true bridge between all of them. 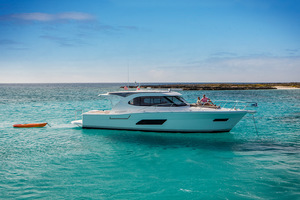 Riviera’s Director of Brand and Communications Stephen Milne says the 445 SUV was in all respects a true embodiment of Riviera heritage. 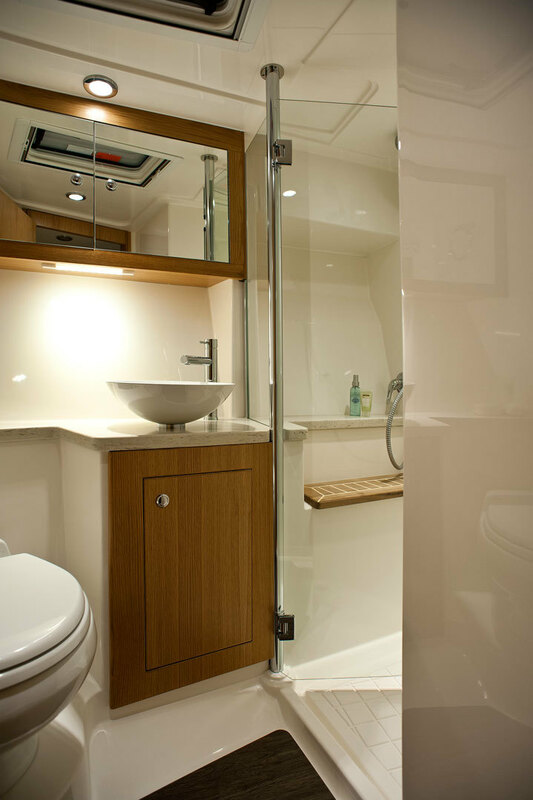 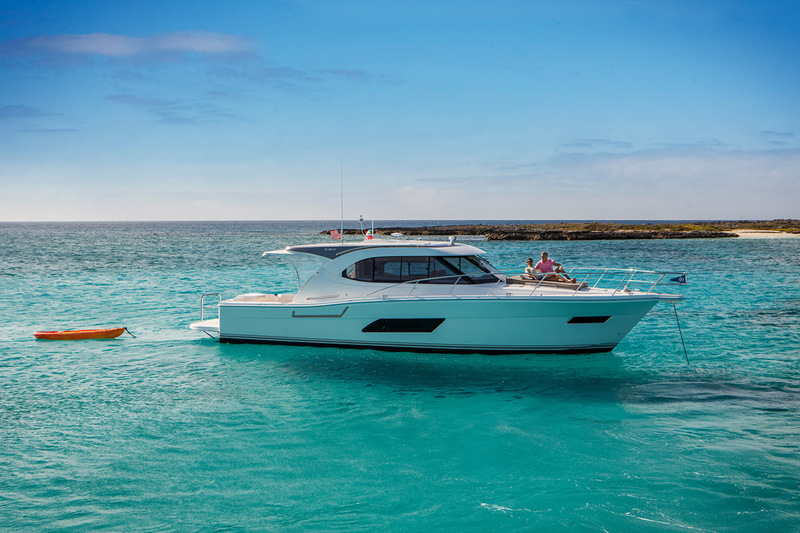 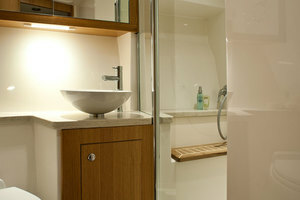 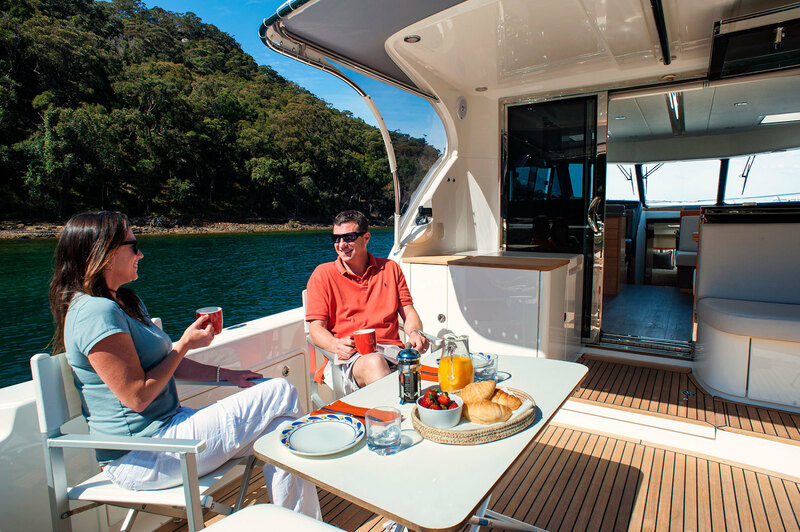 “By this we mean that all the familiar and reassuring aspects of proven Riviera boatbuilding DNA are there; purposeful lines, hefty scantlings, the solid feel in a seaway, spacious layout and Euro-style luxurious décor. 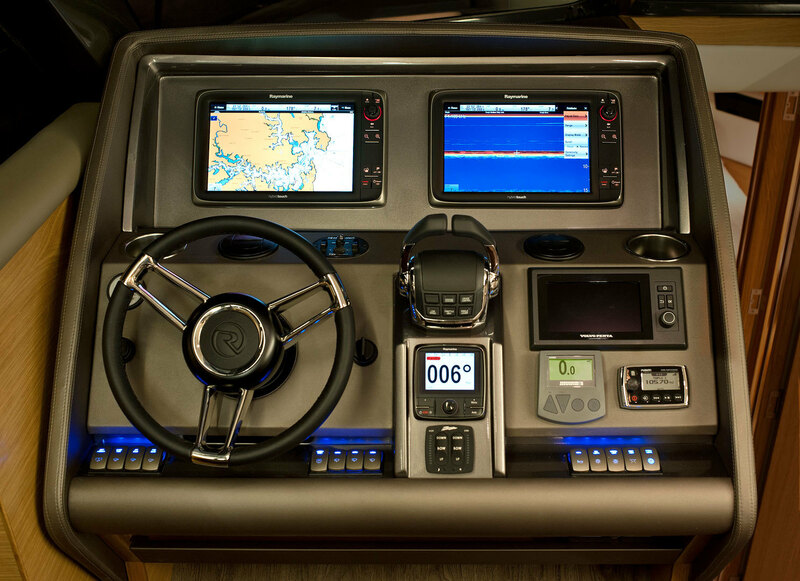 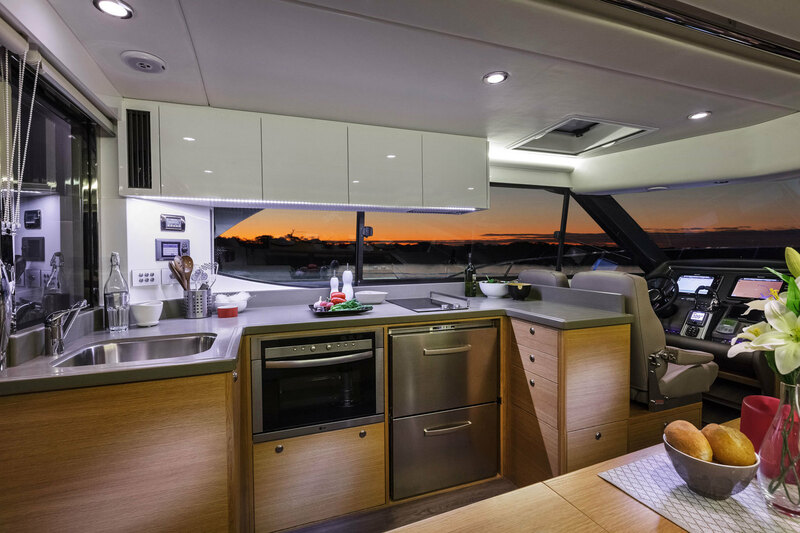 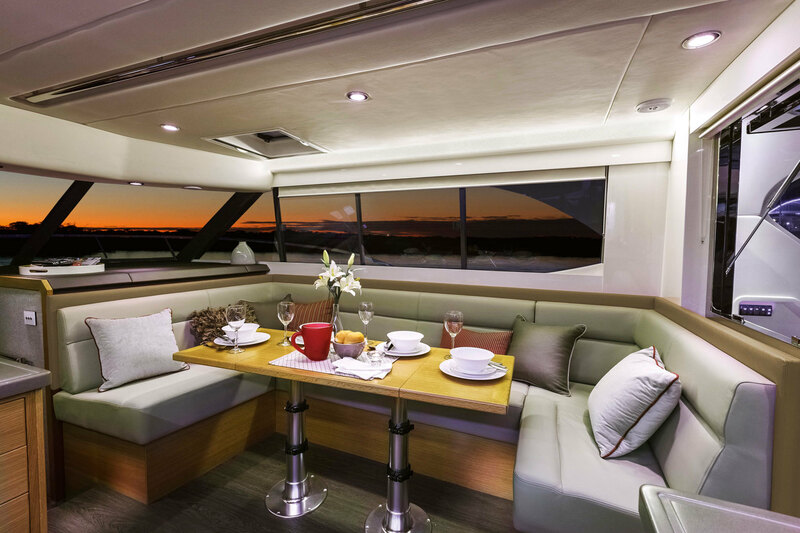 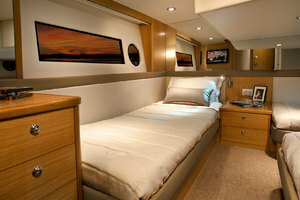 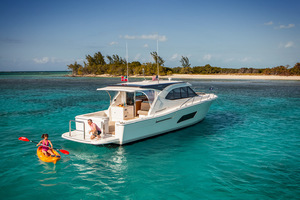 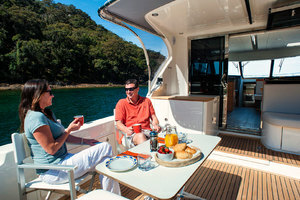 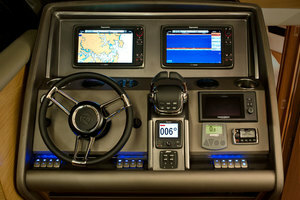 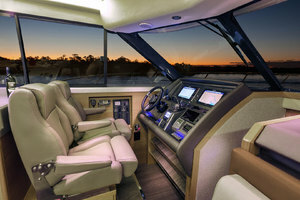 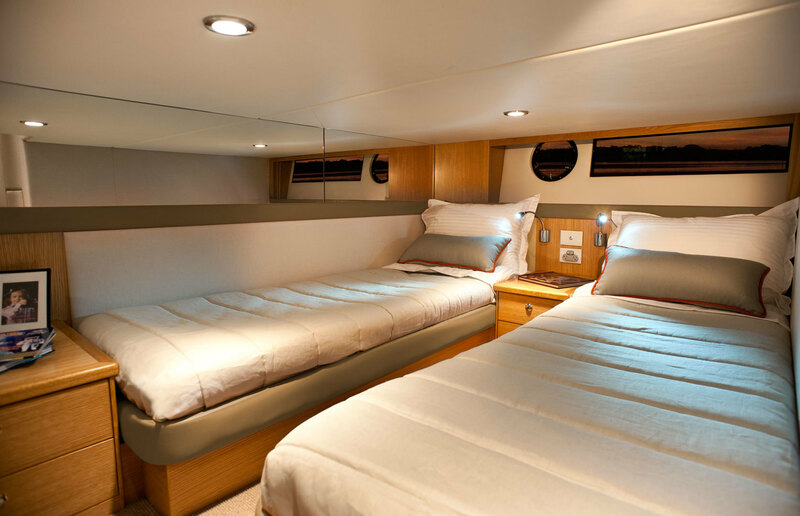 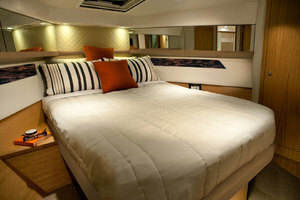 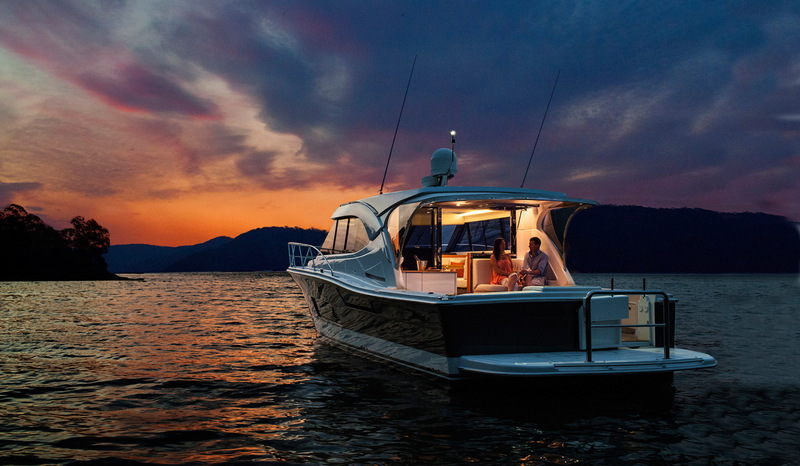 And of course, a full no-nonsense Flybridge-scale cockpit,” he says.